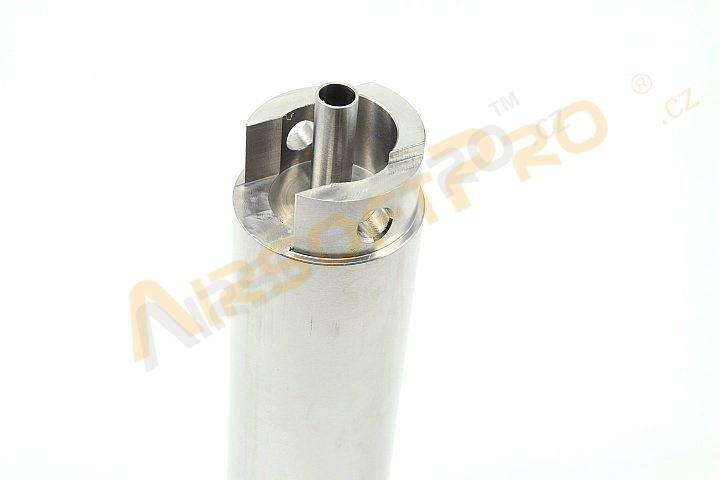 Cylinder for electric guns which includes the cylinder head. Made from a single piece of stainless steel. Advantage is maximum sealing and the perfect alignment. At the bottom of the cylinder is a rubber pad. 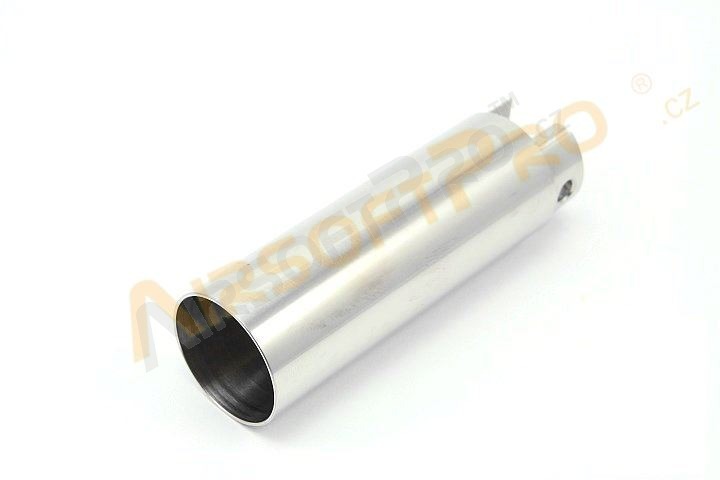 The cylinder has smooth surface. 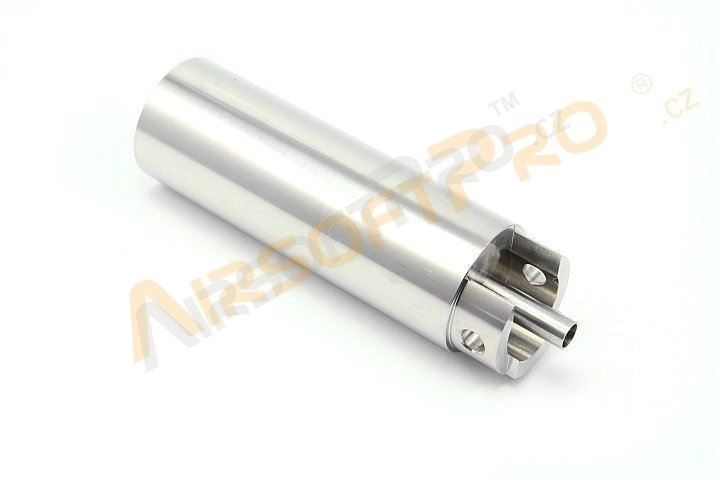 The cylinder is not NBU and fit it classic piston head and nozzle.